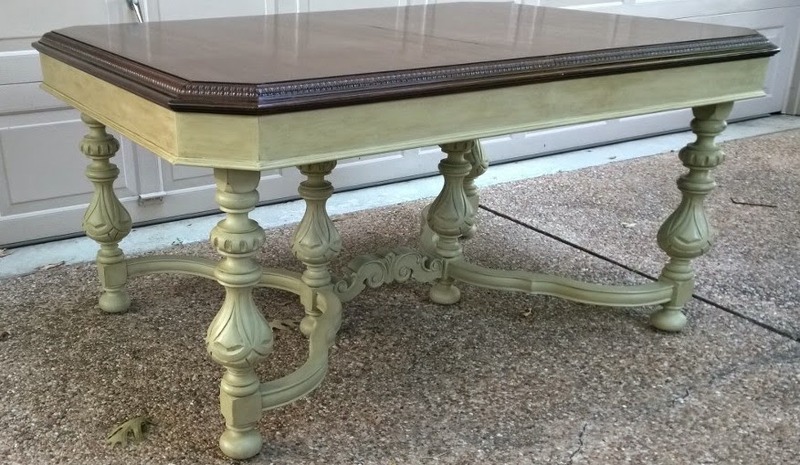 This stunning table is from the Rockford Furniture Company in Illinois. When I got it, it was desperately in need of some TLC! With a little luck and a lot of elbow grease (plus a little dark wax), I restained the top and painted the body in Annie Sloan Versailles, then antiqued with that dark wax. *Sniffle* They grow up so fast! Here's another "after", just because I love the detailed carvings of these legs so much. Hi! Could you please tell me what you stained the table top with? Also, was the before picture the state it was in when you stained it? Or did you have to sand it mores evenly? I have a very similar table I was trying to refinish, someone had stabbed the top several times with what appears to be a screwdriver leaving marks. While trying to sand them away, I accidentally sanded through the veneer in a spot. Now I'm trying to figure out a way to stain it in a way that will cover the imperfection, possibly a more opaque stain. I really like the look of yours! Hi Lisa, sorry I'm just now seeing this! I sanded the top more evenly before staining, and I believe I used Minwax stains on this one. You might consider a wood filler that is a close match to your wood surface and a less penetrating stain such as a gel stain to help camouflage that imperfection. It will look slightly different, but can be more cohesive! 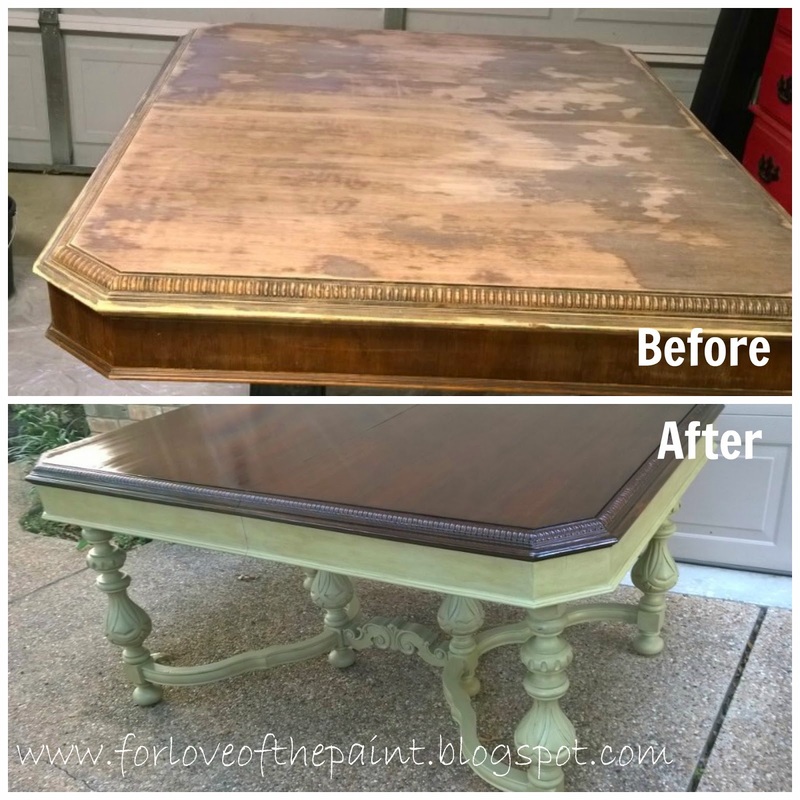 I have also had good results from layering gel stains, or using a General Finishes stain / paint / glaze faux finish on top :)If you'd like to see a barnwood faux effect with those layered products, check out my recent posts at www.facebook.com/forloveofthepaint ! Good luck with your project!